Under the patronage of the Bahrain Authority for Culture, Thinkers & Doers brought this International Conference to life with a vision to develop and update cultural infrastructures and reinforce the role of culture as a lever for social and economic development. A path-breaking one-day conference on Culture. 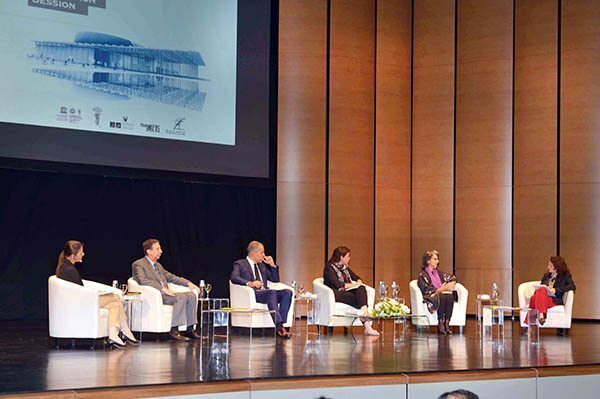 Bahrain witnessed a unique conference on the social and business impacts of Culture on 19th January at the Bahrain National Theatre, Bahrain National Museum, Arab Regional Centre for World Heritage. Hosted under the patronage of the Bahrain Authority for Culture and Antiquities, and Thinkers & Doers under the Presidentship of Her Excellency Shaikha Mai Bint Mohammed Al Khalifa the international conference ‘Investing in Culture: Social & Business Impacts’ has been an exclusive event providing a platform for groundbreaking dialogue around the importance of investing in culture. The conference was attended by more than 300 guests. Invited were prestigious figures from all over the world like Her Excellency Shaikha Hussah Sabah Al-Salem Al-Sabah- Director of the Dar al Athar al Islamiyyah (Kuwait), Jack Lang, President of the Arab World Institute (France), Jean Nouvel, architect (France), and Zaki Nusseibeh, Cultural advisor for the Ministry of Presidential affairs (UAE) to name a few. The industry of culture also has potential to create job opportunities, said Kuwait-based Dar Al Athar Al Islamiyyah director general Sheikha Hussah Sabah Al Salem Al Sabah. “Running a museum by itself for example requires a lot of effort, which means huge job opportunities,” she said. The conference began with an opening speech by BACA president Shaikha Mai bint Mohammed Al Khalifa, during which she reiterated her commitment towards culture. “In this conference we reread our commitment to culture and show the world that creating beauty through culture is a resistance that never stops,” she said. Shaikha Mai was yesterday presented with the Ordre des Arts et des Lettres (Order of Arts and Letters) by the French Culture Ministry in recognition of her significant contribution to culture.